Here at Shoot! We pride ourselves on looking back at your football club’s heritage. For some, hero status can be achieved by years of dedication; for other’s that can be thrust upon them in a matter of seconds. You’ve played 38 games. 3420 minutes. You’ve been as North as Newcastle. You’ve been as South as Southampton. It all goes down to the final moments of the season. A Friday night under the lights at Anfield. The sort of night where heroes were born; the sort of night where your name could be engraved into the history books. It would be Arsenal or Liverpool. The Gunners or the Red’s. It wasn’t the sort of night where you hid. The 91st minute. Alan Smith cut the ball over the Liverpool defence. The Gunners were in. Michael Thomas turned Steve Nicol. It was “up for grabs,” to quote the great Brian Moore. He was in. One-on-One. Him verses Bruce Grobbelaar. Thomas striked from 10 yards. The net rippled. Arsenal had just defeated the FA Cup Champions. They had just won the championship for the first time since their double season of 1971. It was a goal that wrote the boyhood Spurs fan into Arsenal folklore. The finest goal a Gunner may ever score. The turning point in the North London Club’s history. For that very reason, despite his future success at Liverpool, Thomas will forever be remembered as an Arsenal Club Hero. Born in August 1967, Thomas is a Londoner by heart. As an Arsenal legend, you may have expected him to remember fondly the double season of 1971, or Arsenal’s several FA Cup Finals throughout the 1970’s; you would be wrong. He is the Ian Rush of Arsenal; like Rush grew up supporting Liverpool’s fiercest rivals Everton, Thomas grew up supporting the other side of the North London- he wore the white of Tottenham as a youngster. As a youngster, he lusted only one thing: the opportunity to play professional football. So, It didn’t make a difference when Arsenal came in for him as a schoolboy; nothing would get in his way to play the beautiful game in front of the incessant atmosphere’s of British stadia. He signed his professional contract with the Gunners on New Year’s Eve 1984; it wasn’t a bad way to welcome in the new year. But still he had not achieved anything. This was only the start of the journey. But if you fast forwarded the clock two years, he had still not yet broken into George Graham’s Arsenal side. At the age of 19, it was important that he started getting first team football. The opportunity to get first team football was given by a club 94 miles down the road; the destination was Fratton Park as Second Division Portsmouth, then managed by the late World Cup winner Alan Ball, desired his signature. The opportunity to play for a side who were chasing a place in the First Division for the first time since the late 1950’s was too good to turn down. It was here where Thomas developed. Three appearances for Pompey earnt him the chance to taste triumph for the first time as they finished runner’s up to Derby. While the South Coast side struggled on their return, Thomas began to catch the attention of the managerial staff at Highbury. When George Graham gave him the chance, he flourished. His debut came against his boyhood club- Tottenham- in a League Cup Semi-Final First Leg. Despite the Gunners tasting defeat, Thomas made an impact. He soon became a regular for the former Scottish international. He would regularly come on off the bench for the Gunners. This was an absolute dream. The only problem being that he was put on in the unconventional position of right-back. As he began to mature, Graham trusted him to play a key part in Arsenal’s midfield. But with a side that included the likes of O’Leary, Merson and Adams, Arsenal were falling below par; they finished 24 points off eventual champions Liverpool in 1988, after missing out in the title to Howard Kendall’s Everton in 1987 when they finished fourth. But going into the 1988-89 season there was a difference. In came Steve Bould in the same summer of Gascoigne’s move from Newcastle to Tottenham; it was Lee Dixon’s first-full season at the club. It all went down to one summer’s evening in May. Liverpool had the opportunity to complete a historic double; they had won the FA Cup the week before due to the tie with the Gunners being postponed due to the horrific events at Hillsborough. 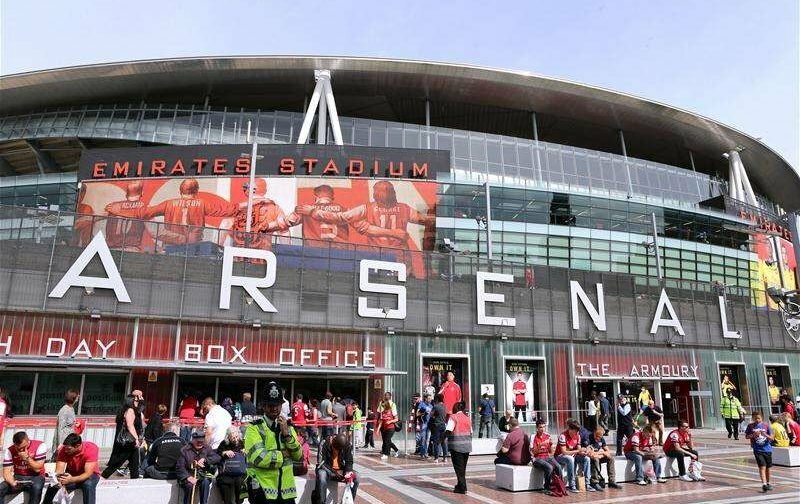 It was here where he wrote himself into Arsenal folklore. They call this this the turning point in the North London’s clubs recent history. Between that Friday night and the year of 2005, the Gunners would win another four league titles, as well as five FA Cup’s. 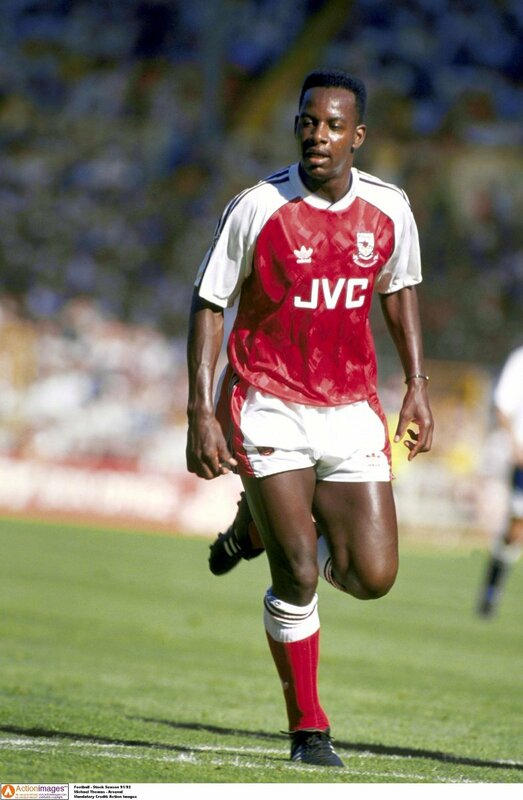 But only one more triumph would include Thomas, when Arsenal were crowned champions of England once again in 1991 in little less dramatic circumstances this time around, however. Anfield was already a familiar place for Thomas due to “that goal”, but he would soon get more familiar with the famous Kop. In 1991, he made the move to a Liverpool side now managed by Graeme Souness. In his first season, he was crowned FA Cup Champion with victory over Sunderland. He returned to Wembley four years later on FA Cup Final day only to be defeated by one Eric Cantona and his Man Utd side who completed the double. After a loan spell at Middlesbrough in 1998, he approached the climax to his career with a trip to Benfica; after returning from Portugal, he ended his career at Wimbledon in the First Division in 2001. But Thomas will forever be remembered for the night where he made Arsenal fan’s dreams come true.